My dad passed away when I was in College. A relative who's a financial advisor in an insurance company talked to me and encouraged me to get a plan from her. Out of pity and just wanted to help meet her quota, my mom, sisters and I gave in and "invested" the money we inherited from my dad, not really understanding what we are into because she didn't explained to us clearly how this plan/ policy works. Just because we've known her personally, we entrusted our money to her. So, in short we wasted our daddy's hard earned money, our time on her and that company. They benefited, we did not! Our needs, were not addressed at all. I must say it's some sort of a discreet hold up?! That's why I have this fear of talking to a financial advisor , afraid that I might be persuaded for nothing again. 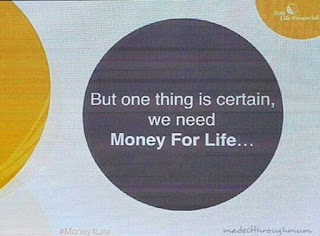 But, It's a blessing I got invited to attend Sun Life's event last June 1, held at Makati Shangri- La. Somehow I got a clearer vision of how financial products go. Sun Life of Canada (Philippines) Inc., the top-ranked and longest-standing life insurance company in the Philippines, aims to serve five million clients by year 2020 under its new five-year growth plan dubbed "Rise PH" . "RI5E PH" champions financial inclusion in the Philippines, where only a small percentage of the whole population utilizes financial products such as insurance and investments. "Despite the bright prospects that the country's economy has, prosperity still hasn't trickled down to the more disadvantaged sectors of society. We have to address this, " Sun Life President and CEO Riza Mantaring said. "Sun Life would like to see more Filipinos looking forward to a brighter future and the whole country rising to greater heights. We would like to start by targetting five million clients in five years. While it may seem like an ambitious goal, Mantaring believes that it's best to set the targets high. " At Sun Life, we always dare to dream big - more so if the stakes are high. This is the country's future we're talking about, after all, " she explained. " Setting high targets will push us to do more, and will allow us to make a greater contribution to our country's future." 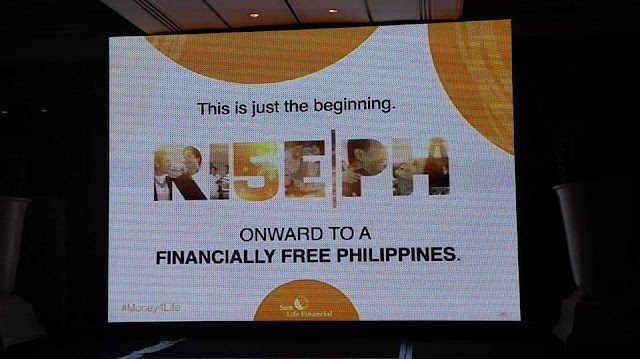 Sun Life has declared June as "Financial Independence Month". They have initial set of initiatives which includes the cooperation with 8990 Holdings, Inc., one of the top mass housing developers in the country, for efforts to promote financial literacy. 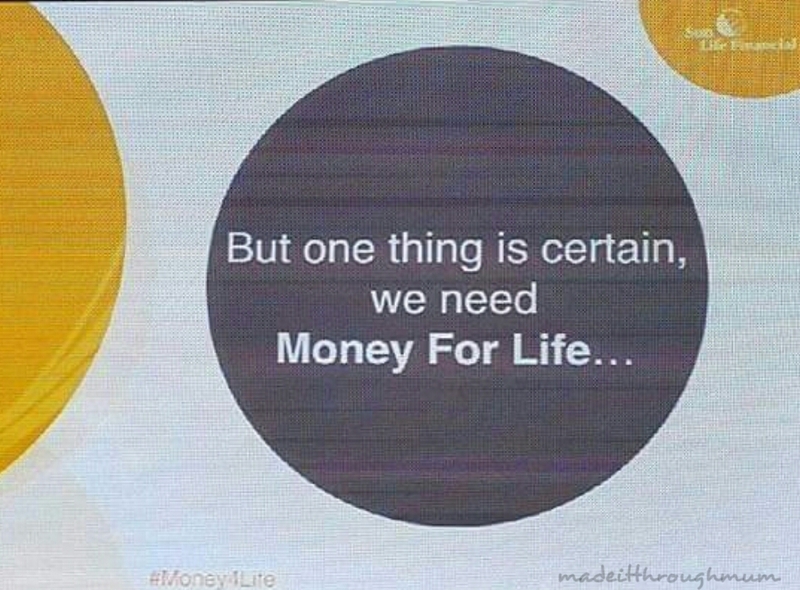 Another initiative is #MoneyForLife, a comprehensive, customizable financial planning program that will ensure that a client will have sufficient funds for every stage of his life. 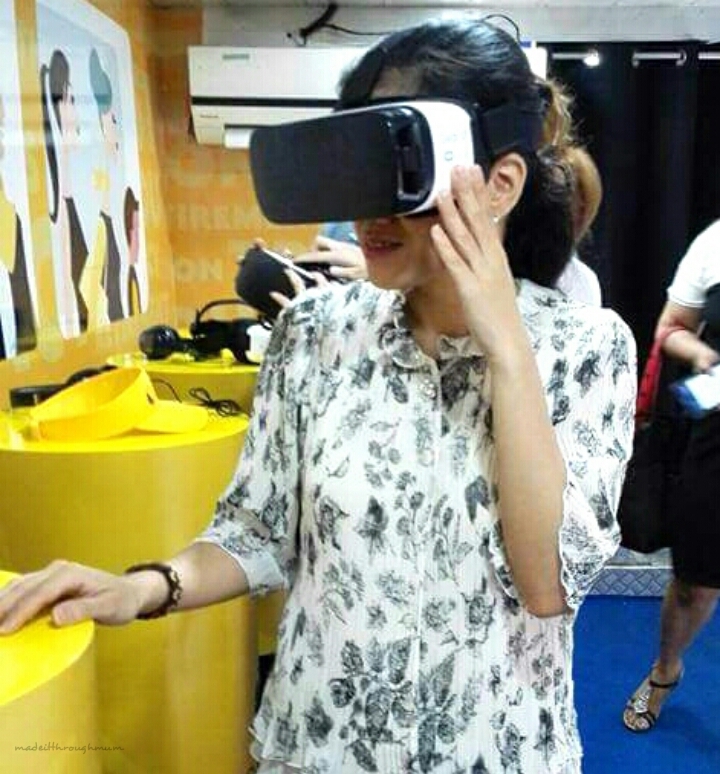 I got to experience 1st hand their 360 degree VR video. To help inspire the public to create their own Money for Life plan with a financial advisor, Sun Life created a 360 degree visual reality (VR) video, transporting them to different scenarios based on their chosen life stage. This will enable the viewer to live the dream for a minute and be encouraged to start planning for their future through Money for Life and Sun Life's Insurance and investment products. 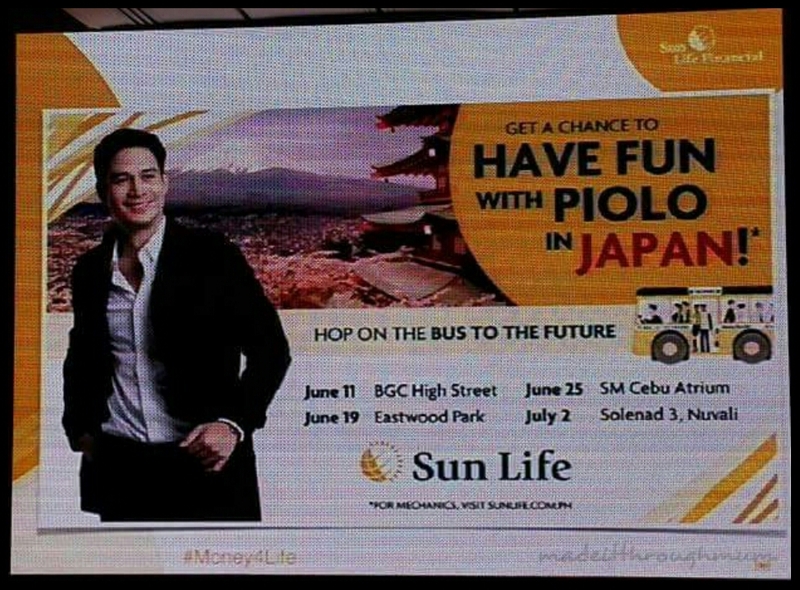 Get a chance to have fun with Piolo in Japan by swinging by the Bus to the Future in different malls and campuses nationwide. 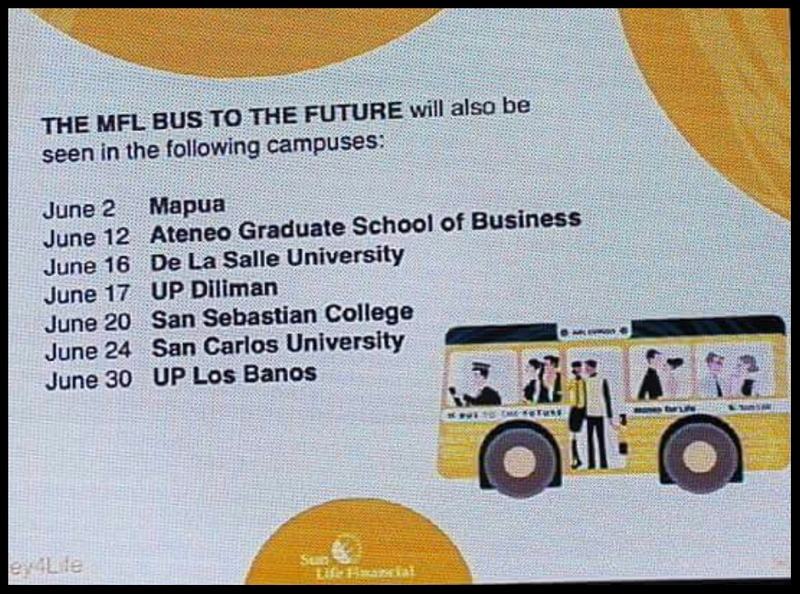 In all these stops, Sun Life financial advisors will also be in hand to accomodate inquiries. 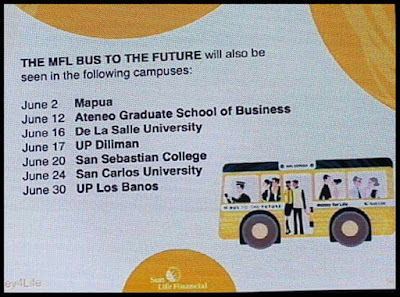 Meanwhile, those who will not be able to visit the "Bus to the Future" stops will still get a boost in their financial journey with the Money for Life e-Planner. They simply have have to go to (moneyforlife.com.ph) and they can immediately start their financial planning, get product recommendations, and even buy mutual funds from Sun Life Asset Management Co., Inc.
"Financial Independence Month" is now on its third year of highlighting the national importance of financial preparedness among Filipinos. 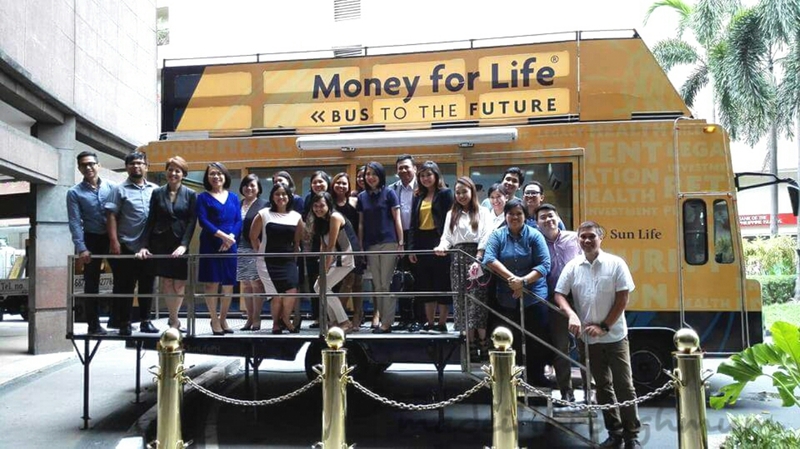 "This June marks a new beginning as Sun Life embraces ots goal of serving five milliin clients in five years," Mantaring said. "We are very much excited about the possibilities, and we look forward to helping our country tise to reach its full potential." Sun Life of Canada (Philippines), Inc. Is a member of the Sun Life Financial group of companies, a leading international financial organization providing a diverse range of protection and wealth products and services to individuals and corporate customers. Sun Life Financial has operations in a number of markets worldwide, including Canada, the United States, the United Kingdom, Ireland, Hong Kong, the Philippines, Japan, Indonesia, India, China, Australia, Singapore, Vietnam, Malaysia and Bermuda. Sun Life Financial Inc. trades on the Toronto (TSX), New York (NYSE), and Philippines (PSE) stock exchanges under the ticjer symbol SLF. Labels: Bus to the Future, Fianncial Independence Month, financial advisor, lifestyle, Money for life, Ri5e PH, Sun Life of Canada (Philippines) Inc.